Moto X4 to be delayed due to Snapdragon 660 shortage, Moto E4 Plus coming to the US on June 30? In case you've been patiently waiting for Motorola to unveil the Moto Z2 and Moto X4 by the end of this month, then... we've got some concerning rumors floating around. According to an industry insider, Lenovo-owned Motorola will only launch the Moto E4 Plus in the USA instead of Moto X4 on June 30 and will possibly merely "mention" when the Moto Z2 is going to hit the shelves. Projected as "anticlimatic", the launch will likely upset just anyone that's been following Moto's latest maneouvres closely. The most probable reason for this unfortunate delay could be attributable to Qualcomm, which is reportedly experiencing some difficulties with keeping up with the industry's demand for its mid-range Snapdragon 660 chip. In case you're wondering, that's the exact chipset that's expected to click and tick inside the Moto X4. Apart from that chipset, the X4 is also expected to be IP68 water- and dust-tight, have a 3,800mAh battery at the rear, USB Type-C port, Quick Charge 3.0, and a 5.5-inch 1080p display. Sounds like a pretty sweet deal that might become even more palatable if a reasonable price tag gets involved! 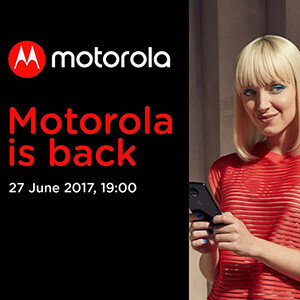 As a reminder, Motorola is hosting its third product announcement for this month tomorrow, June 27, when the Moto Z2 will most likely become officially-official. Previously, the Moto Z2 Play got announced on June 1, and then the Moto E4 and the Moto E4 Plus got unveiled on June 12. Couple that with tomorrow's possible announcement of the Z2 and June 30's probable launch of the Moto E4 and you get a rather jam-packed month, at least for Motorola! Why are they putting SD 660 instead just put SD 835 as X series is flagship series. Even my Moto X 2nd gen too have SD 801. Have you read up about Moto, and the 660 processor? The 660 processor is not far behind the 835. It's a great power efficient processor working great with the 3800Ah battery, will help them make the X4 more affordable. The X series is no longer the flagship in the series; the Z series is now Moto's high-end flagship line. It's not like the X4 is a major downgrade of the 835 processor. I agree. Processors are fast enough already. It's time we focus on software. It's the only thing that truly needs attention. Their product positioning have changed. Z is the flagship line while X got relegated to super midrange. Nice release more phones and keep snubbing support for those who have bought your products. G5+ UNLOCKED STILL ON JANUARY SECURITY PATCH AND ANDROID 7.0. VZW launched moto e4 for 70$ and it has android 7.1.1 june patch. REALLY. If this is the real $400 flagship take my money. Z2 play is garbage, OnePlus 5 lacks water resistance, honor 9 US launch is still a mystery and no word on an Axon 8. But the z2 play is $500 this will be $600 and I don't acre about moto mods. People buying budget flagships don't have money to waste on mods.